Haridwar is counted among the seven holy cities of India. Located along the banks of River Ganga it is surrounded by Himalayan Mountains in Uttarakhand, It is very famous among those tourists who are in search of salvation. It is said that a dip in the river waters purges all sins. Being one of the main pilgrim centers, huge crowds of devotees from all over the world travel to the city. 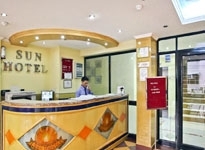 To provide comforts to every type of traveler, a good number of hotels in Haridwar are available. Haridwar Hotels and Resorts offer an attractive combination of remarkable modern amenities which makes every guests stay pleasant. 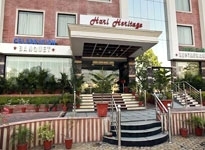 For wonderful stays in the holy city of Uttarakhand, choose from options of luxury hotels and budget hotels in Haridwar. 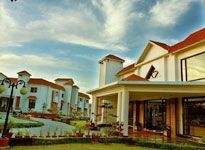 These hotels please pilgrims as well as tourists seeking to recuperate in mountain bliss with yoga and Ayurveda. 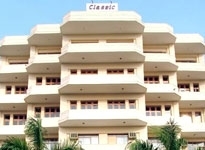 The Haridwar hotels have cozy rooms, clean restaurants, modern amenities, and recreational facilities. 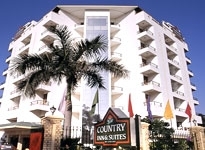 We, at India Holiday offers a selection of Haridwar Hotels. 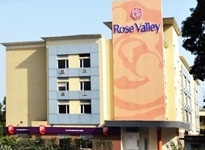 Available in all budget range, book your stay with us and enjoy a memorable holiday.